Hello Tea Cup Ladies! 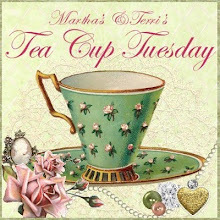 Welcome to our 31st Tea Cup Tuesday. 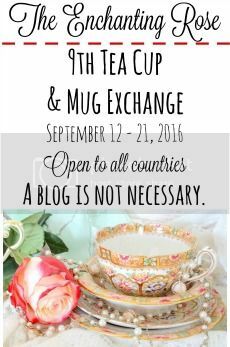 It is almost mid-night and all I could think about is Tea Cup Tuesday! ( I have not posted yet!) 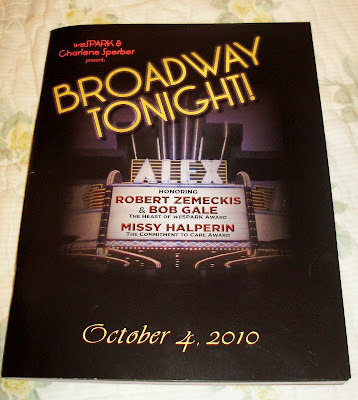 I just came home from a wonderful, Broadway Musical. The stars of various musicals like Rent, Wicked, Evita and Guys and Dolls, sang these wonderful Broadway songs to raise money for cancer. I was hobnobbing with the stars, well kind of, we were under the same roof. Did I ever tell you, I love musicals? So I was in heaven! It ended with one of my favorite songs, "Seasons of Love" from Rent. 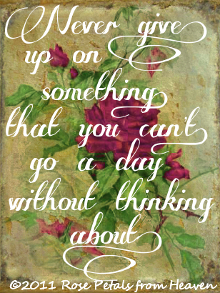 So here I am trying to get my act together for Tea Cup Tuesday. Have you noticed how many different tea cups are out there? We had some new ladies join us last week, with some amazing cups. It never fails I am always repenting of coveting after visiting your posts. 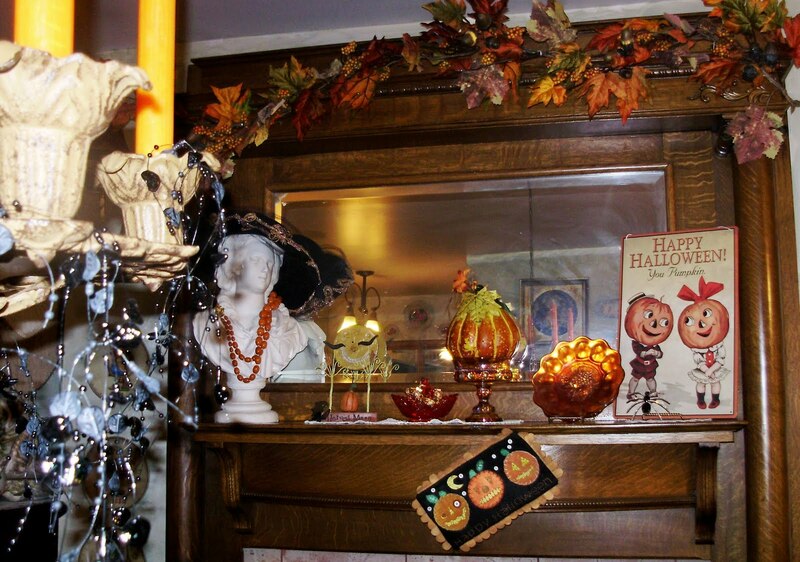 I discovered this week that I have a great deal of autumn and Halloween things. As I was removing the bins from the basement, they seem endless. It did make me feel better when Saturday, at the church rummage sale, I left the house with 8 bins fill of things to sell and only came back with one. I am always checking myself, for the Hoarder problem. I gave myself some serious points for the clean out. However, as I am opening the bins for Halloween, I noticed so many cute things, I struggle to think I need to thin some of these things out. 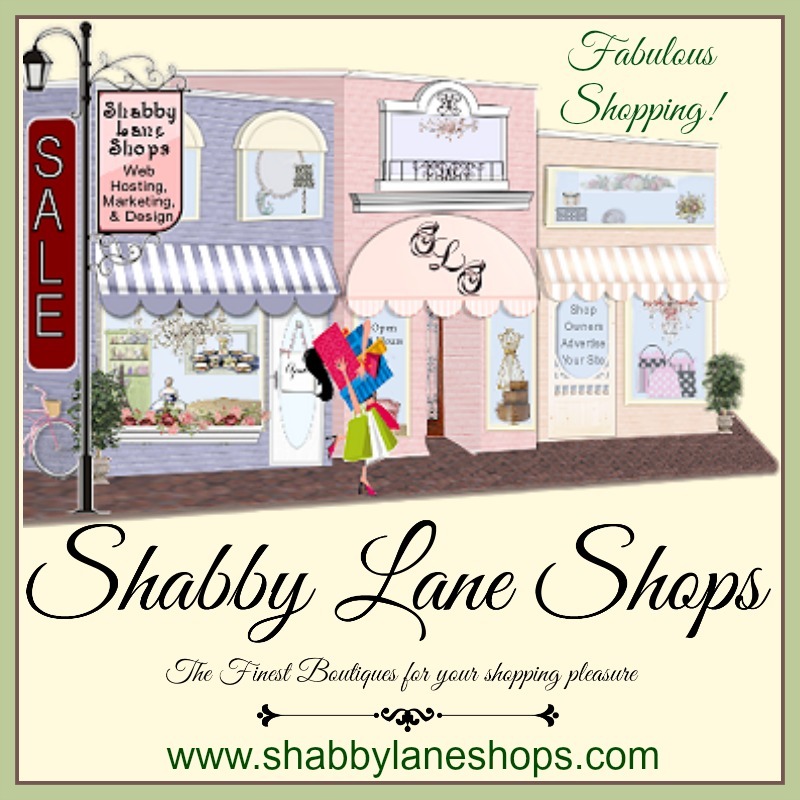 I haven't even been to one holiday boutique yet! You know how those can gets to you! The good news is I had stored some autumn tea cups. Today you will see some of the cups that have been stored away for just this time. 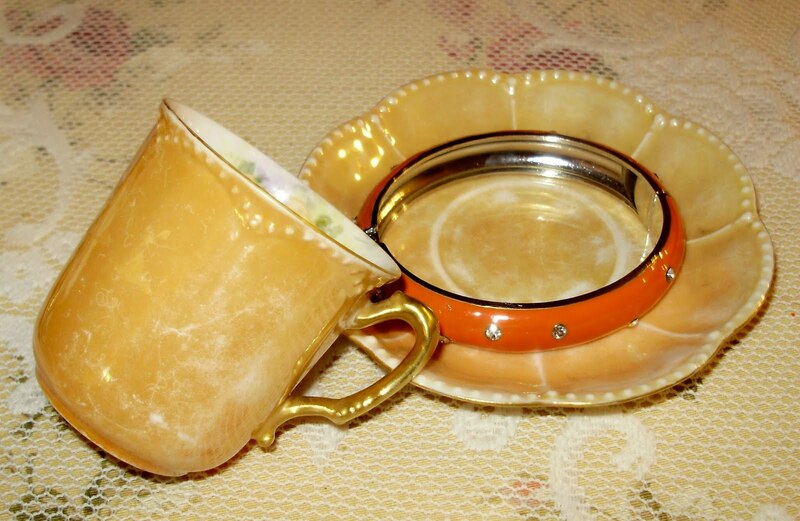 The first cup I and sharing with you is this orange Lusterware from Japan. This beautiful trio only comes out in October. It has a white Luster inside with a simple loop handle. Cup No. 2 is also a Lusterware, but this time it is Haviland, Limoges. 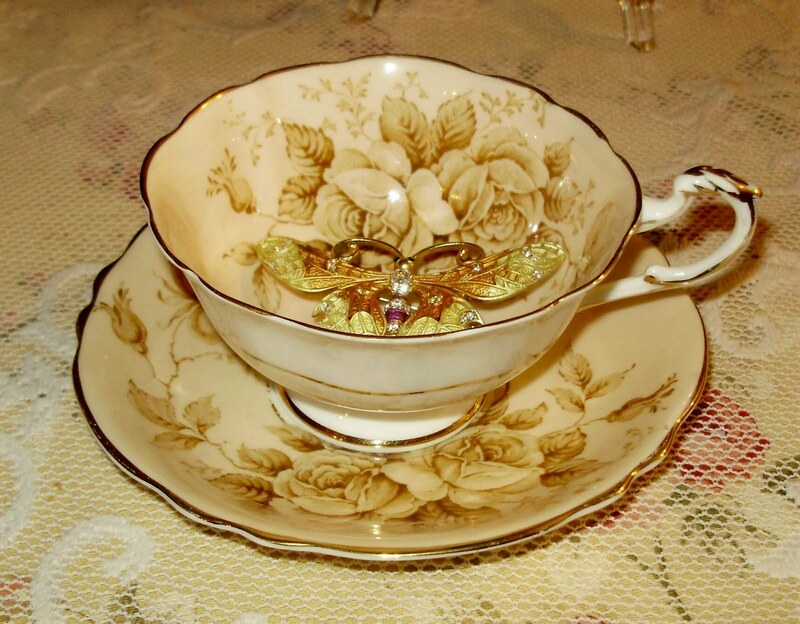 An antique, demitasse cup, with dainty yellow roses inside. Cup No. 3 is this week's favorite! It is a Paragon, the shape is a Glasgow, with a great broken loop handle and thumb rest. You know what to do with Mr. Linky! 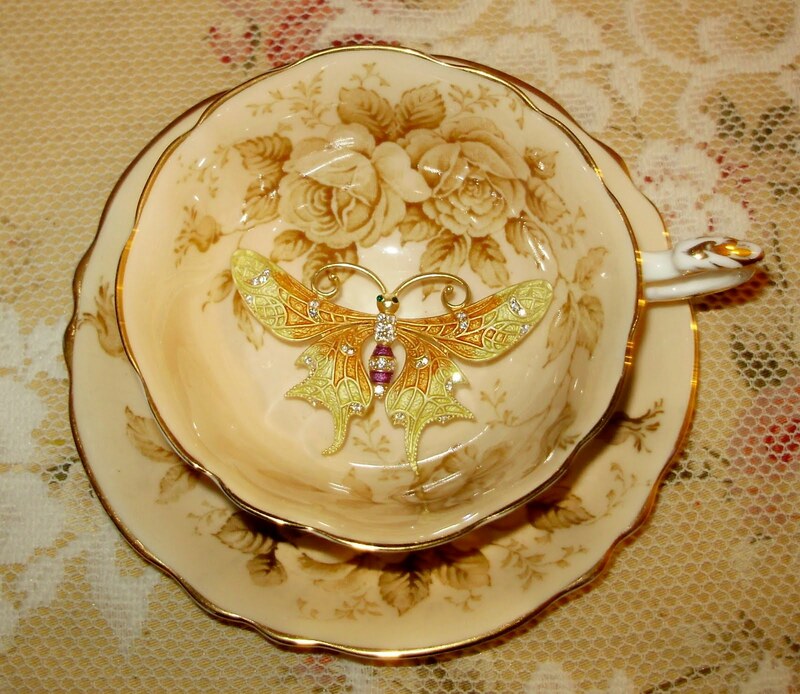 I hope the you will take the time to visit as many ladies as you can this Tea Cup Tuesday. 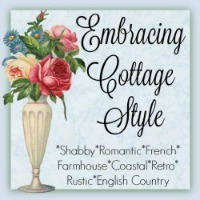 Be sure to visit my partner in this party Terri at http://artfulaffirmations.blogspot.com/. Terri is an amazing woman, with so much talent and the biggest heart. Such gorgeous tea cups! I love the autumnal colours, very very pretty indeed! I love your autumn collection - number 3 is also my favorite! 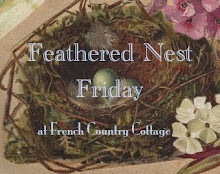 Thank you for sharing your treasures with all of us! I love your fall things and those teacups are so pretty. I just love this time of the year. 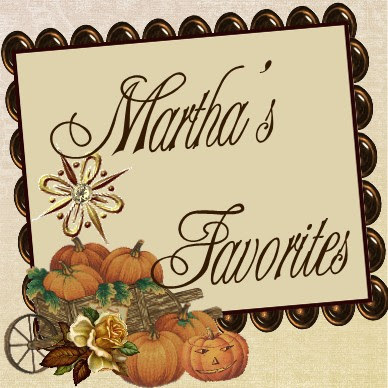 Hi Martha :) You have some wonderful things for fall and Halloween, and have decorated your home so wonderfully! Me, I just keep everything in my home all pink and rosey, lol :) Those are some great cups for the fall; perfect colors for it! Wishing you a great Tea Tuesday my friend!! I just love the cup with the soft yellow roses inside! Everything is beautiful as always!! Oh, Martha, one of the things I yearn to do is to attend a Broadway musical!!! That would be such fun!! Your fall/autumn teacups are lovely. 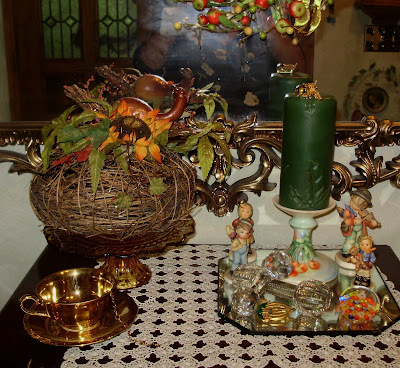 I really like the Luster Ware one...perfect color for this time of year. 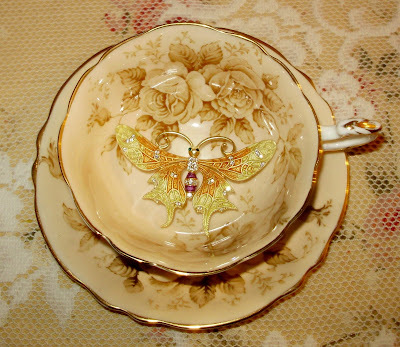 But, I'm in agreement with you on my favorite...I love the Paragon teacup. As always, too, your jewelry is pretty and loads of fun. I guess it's okay to have THAT kind of spider crawling up your breast, huh? Oh my.. Martha...these are all so darling..and I love your magic touch..everything looks festive and gorgeous! Happy tea time! and LOVE that spider...how cool! What gorgeous teacups you have today! I especially love the last Paragon one; stunning! Your jewelery makes me smile as always. Loved hearing Michael W. Smith's version of BREATHE, one of my favourites! Thanks for a beautiful post and enjoy your day. Wow Martha! Love the fall colors of your tea display. Some are nice and vivid and others just a hint of bronze. Really lovely. 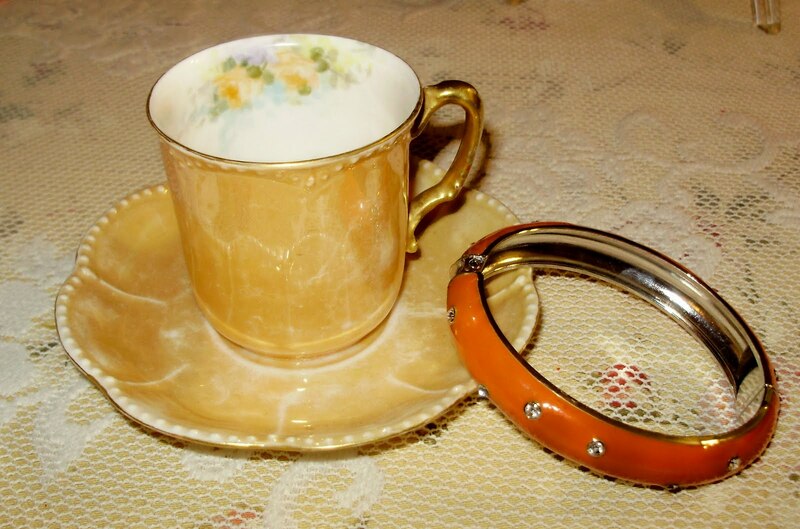 Your Autumn teacups are lovely and so is the jewelry. That first "ant" brooch is terrific. 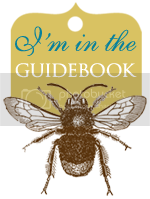 I see you also collect Hummel figurines - I wonder if there is such a thing as a tea theme Hummel? 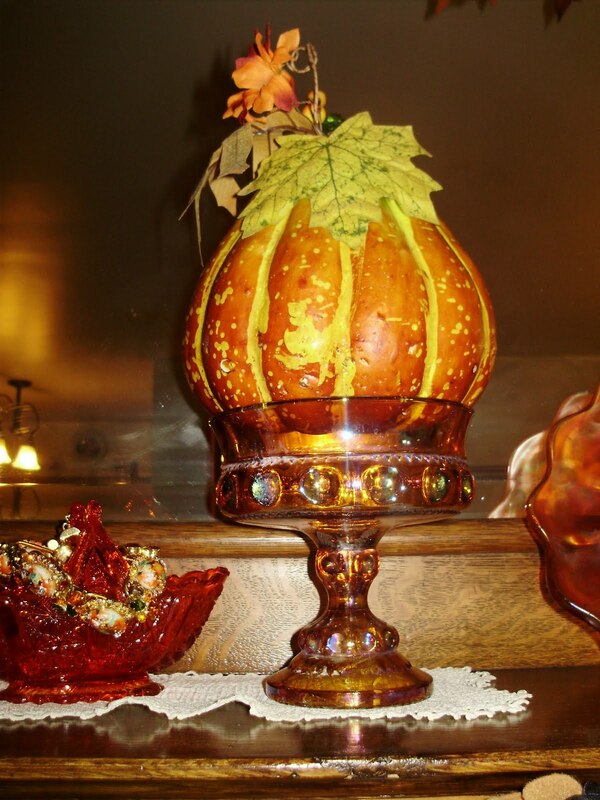 Your fall home decor looks lovely. Everything looks wonderful! 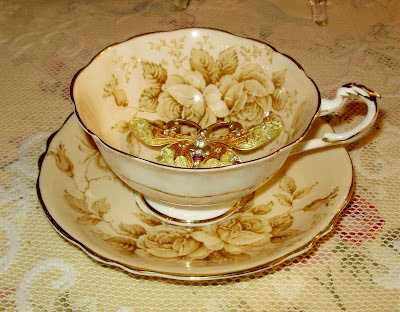 I LOVE the yellow roses teacup!! What a lovely collection you have. Martha, I am so glad you had a terrific night out! Good for you! And your cups today are beautiful. I do love lusterware. 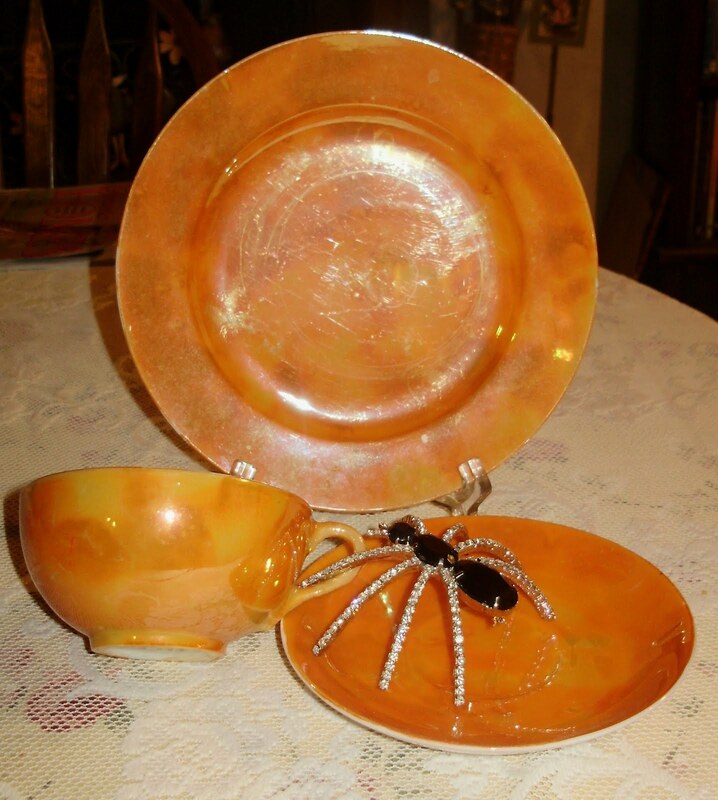 Some day I have to post my lusterware platter that I adore. Your home looks so lovely with all its decorations. Your fireplace is incredible! I love all the wood. Hugs to you dear girl! 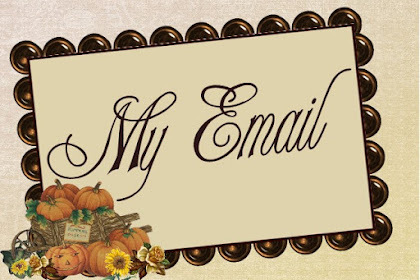 LOVE all of your Fall decorations!! I seem to keep amassing quite a bit myself. I cleaned out the majority of my Halloween decorations when the boys got older and focused more on Fall. 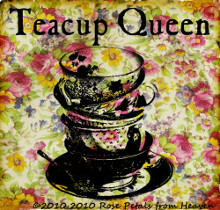 I Love your Fall tea cups!! All of them!! 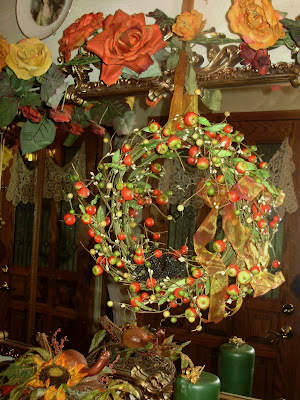 What a great idea to put some away for various seasons!! Oh No!! I think you may have spawned another collection for me to add it and think about!! How wonderful that you had a night out and enjoyed the Broadway Musical. 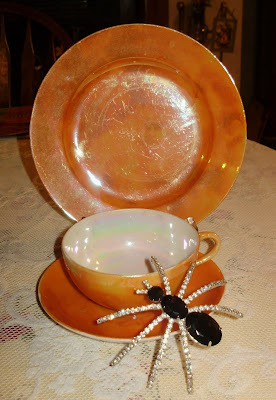 Love all your pretty Autumnal teacups and decorations. 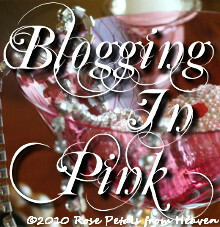 Your blog is really nice and pretty today ! Thanks for stopping by. Yes, Im so glad I can be around you ladies. As usual, you always have something nice to show. 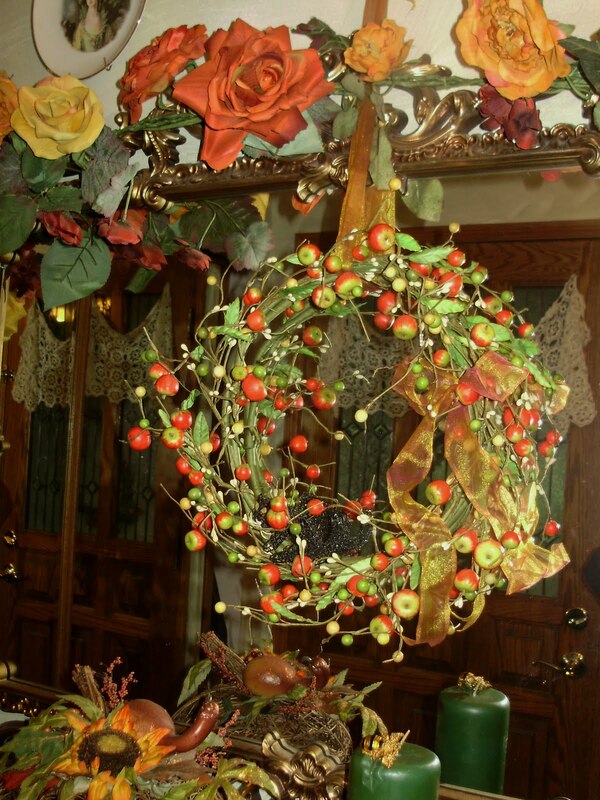 Your fall's decoration is marvellous. Martha, you have a teacup for every occasion! Do you entertain using your beautiful cups and saucers? Orange teacups, I don't think I have ever seen any except for your blog post. Oh I love musicals too and it sounds like you had a wonderful time. You sure have a gorgeous display of tea cups and I love how you have photoed them with a bit of bling. So creative. I adore your vintage lusterware. I can relate to the boxes of decorations. This year I tried to scale down too, but not sure I did. LOL Did some shopping and replaced a few things. I am hopeless I feel!! 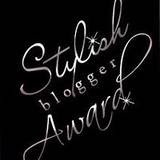 Love your blog look for Fall. Your header and sidebar pics are gorgeous. Hi Martha, Your blog is so festive for the fall I love it!& your Autumn tea cups are gorgeous!! !